Welcome back. Today, I celebrate the return of Sharon F. as guest blogger. You may recall that Sharon, a retired elementary school principal in southern Ontario, Canada, blogged about Stepping into Fitness a few months ago (see P.S.). More recently, she toured Ireland, an experience she’s now ready to report. 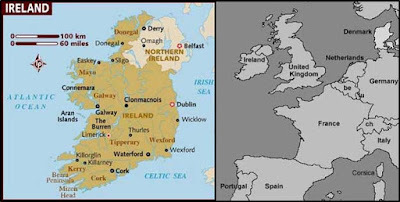 Why Is Ireland So Green? Everyone has heard the legend of the Emerald Isle--the greenest place on earth. This past spring, I had a wonderful opportunity to spend several weeks visiting Ireland. Take my word for it, it was green. 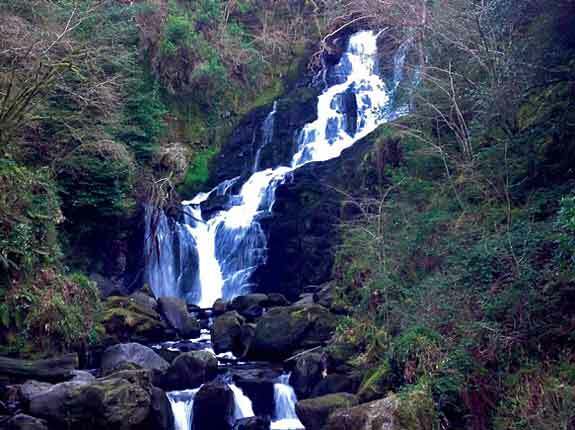 Much of Ireland is now rural farmland and little of the original forest cover remains. As we drove throughout the countryside, we relished the rolling hills and many overflowing rivers and streams that rushed down to the sea. For several weeks, I was relegated to backseat navigator. My husband and his brother claimed the front seats of our little standard-shift car. Whenever we were hopelessly lost or coming ‘round the roundabout yet again, my navigational skills were required to get us safely back on course. No one else in our car seemed to understand that a map should be held with north at the top, and that time and distance can be indicated or estimated with a map and the road signs. Did I mention the many rivers and streams? I forgot about the waterfalls. There are hundreds of waterfalls, and my fellow travelers felt it was important to stop, get out of the car, and hike out to see each one. But I was too fed up with backseat navigating and stopping to rush over and look at every waterfall along the way. We were partway up a mountain, when one passenger screamed, “Stop! Pull over. There’s a waterfall.” My husband sharply swerved to the side of the road and stopped the car. The other three travelers leapt out of the car and headed off to look at Wonderful Waterfall #43. I sat and sulked in the cramped back seat. Then I felt the car start to roll backwards. My stomach lurched and I froze in fear. The car stopped. “Thank God,” I whispered. Then the car started to roll again. Only this time with more momentum, rapidly picking up speed while I sat helplessly covered with maps, tightly buckled into the cramped back seat. Maps flew off my lap, the seatbelt was unbuckled and I threw myself over into the front seat! I grabbed the steering wheel with one hand and yanked the emergency brake with the other hand. The car jerked to a stop. The waterfall admirers came back a little later, and wondered why I was green faced and bending over some flowering shrubs at the side of the road. 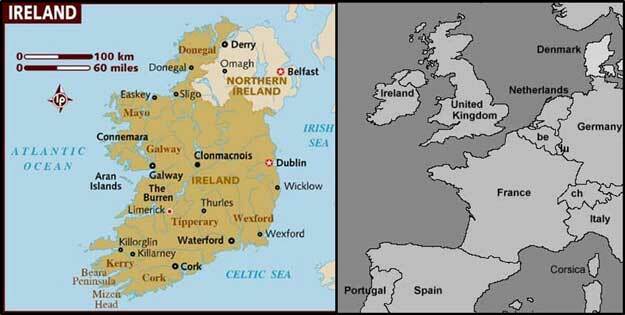 Why is Ireland so green? It must have something to do with the waterfalls. 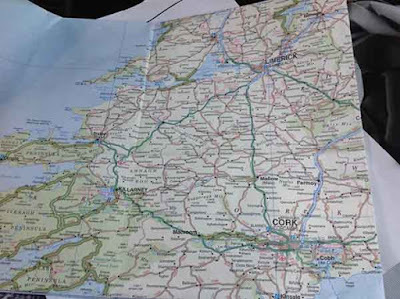 Sharon’s travel in Ireland will continue next Tuesday with her views of daffodils. Thanks for stopping by. Links to Sharon's earlier blog post: Stepping into Fitness, Part 1 and Stepping into Fitness, Part 2.